I seem to have been added to a few new mailing lists of late, which is not a complaint because without them I wouldn't have been exposed to bands like The Surrealist. 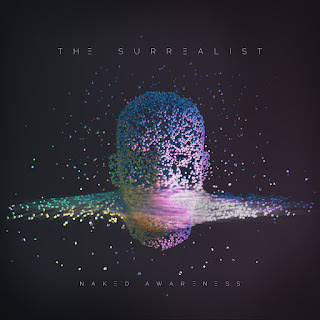 They formed as a duo last year and their debut EP "Naked Awareness" was self-released in September. They're now a trio and are recording and releasing new music. They've already been compared to Animals As Leaders (not bad praise I guess!) and their EP is reaching a lot of people via Bandcamp. Naked Awareness certainly demands your attention. Opening song Canvas Sky features some of the most original guitar playing I’ve heard and while some have compared The Surrealist to theory well-known prog/tech bands, I’d say that they do have a style all of their own. There’s a lot going on with off-kilter percussion sitting underneath layers of guitar and synths. Flowering Of Consciousness has an intro that could well be mistaken for traditional Japanese folk, such is it’s twinkly nature. The sweep-like guitar is replaced by virtuoso lead work this time and all is calm. There’s a bucket load of melody throughout, which helps with the accessibility of this EP. The brief guitar only piece Become Whales is minimalism personified yet technical enough to be far removed from the “Interlude” tag. “Naked Awareness” closes with Waves Of Naked Awareness and it feels like the continuation of Canvas Sky to me. The sweeping guitar work and buried drums are both hypnotising and almost lucid. The Surrealist use it to harness their musical skill and it rounds out the EP in confident and heavy fashion. The Surrealist is definitely a band for the future and already show a lot of promise here.